Rematch! High Step Society vs. Good Co! 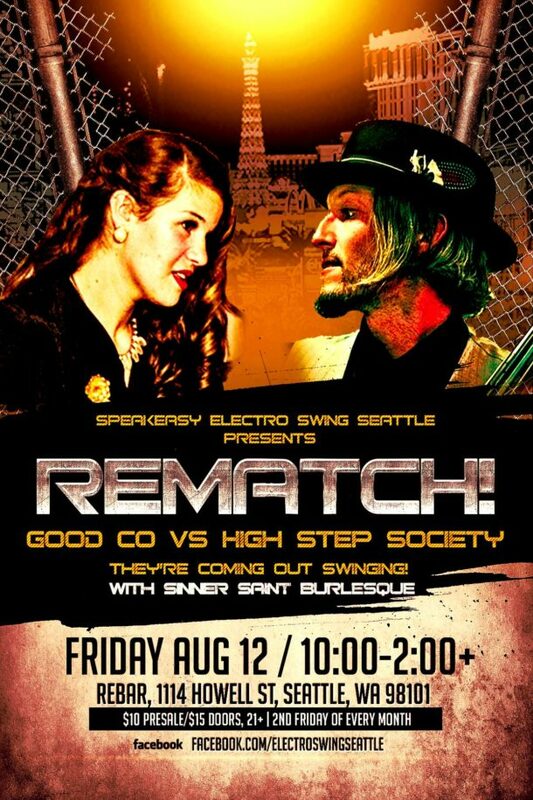 Sinner Saint Burlesque is in Good Co's corner this month at Electroswing Speakeasy! Bring Sinner Saint to you! Bring Sinner Saint Burlesque to your next birthday, opening, wake, bachelorette, carnival, festival or special event! Large or small we can tailor professional burlesque performances to a variety of themes, venues, and budgets. See our Celebration document for details! Want a burlesque show at your venue, tailored to your event? Email us with your dream, budget, and dates and we can make magic! White Elephant Strip-a-Roke Gift Exchange Show!